Unni Rajen Shanker: When you look back at your stint with the Konkan Railways project and now the Delhi Metro, which was a tougher assignment and why? The tougher and more challenging is Delhi Metro. With Konkan Railways, the main challenge was the length of the line: it passes through four states, a lot of reserved forest land and the most unfriendly, undulating terrain. The other challenge was raising funds. The government had given us one-third of the cost of the project, two-thirds had to be raised from the open market. At that time, the condition of the capital market was very poor, and raising money was very difficult. We could not raise money within the country and had to go to countries such as England, Japan and Korea to raise funds. For Delhi Metro, money was not a problem. The problem was that it is the capital; whatever we do is directly under the gaze of the people in power?President, Prime Minister, Lt Governor, Chief Minister?everybody is aware of what we do. People here are educated, they are exposed to what other cities, countries have achieved. So expectations are very high. Also, we have to work with the least inconvenience or disturbance to the public. The technology for the Metro is highly complex. It is four times more complicated than railway technology. And tight targets had to be met; in the second phase, the target was the Commonwealth Games. 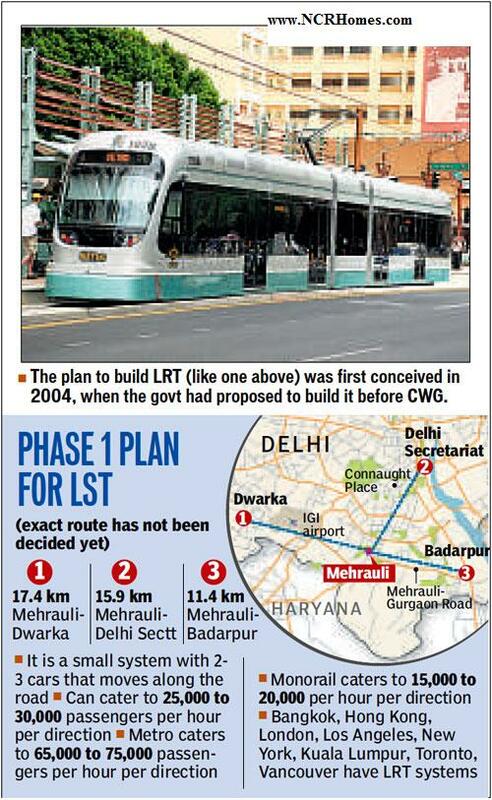 Palwal: Haryana Chief Minister Bhupinder Singh Hooda on Sunday announced that an 'Orbit Railway' that will connect towns falling around three sides of Delhi in the state's NCR region is being planned. Haryana Metro Rail Corporation has already been constituted for this purpose, he said while addressing a Nav Nirman rally here. Among other things, he also announced Rs 10 crore for the development of Palwal villages and Rs 5 crore for Palwal town. A sum of Rs 822.43 crore has been provided for Palwal district, under which work on various projects like a Mini Secretariat, a 100 bed hospital and a judicial complex is in progress, he said. On the demand of a university, Hooda said that sanction had been given for opening a private university in the district. A new college building at Hodal, a modern sports stadium and Kisan Seva Sadan will be built in Palwal, he said, adding that Palwal Municipal Council's limit will be extended to cover colonies falling on the outskirts of the town. He also asked the Deputy Commissioner of Palwal to prepare BPL Cards for all deserving families. On farmers, Hooda said that those who pay borrowed amounts on time were being provided loans at 4 per cent interest rate. After Metro and the proposed high-speed trains, gear up for Orbital trains. Serving commuters in an orbit, these trains will provide greater connectivity between Delhi and NCR areas. 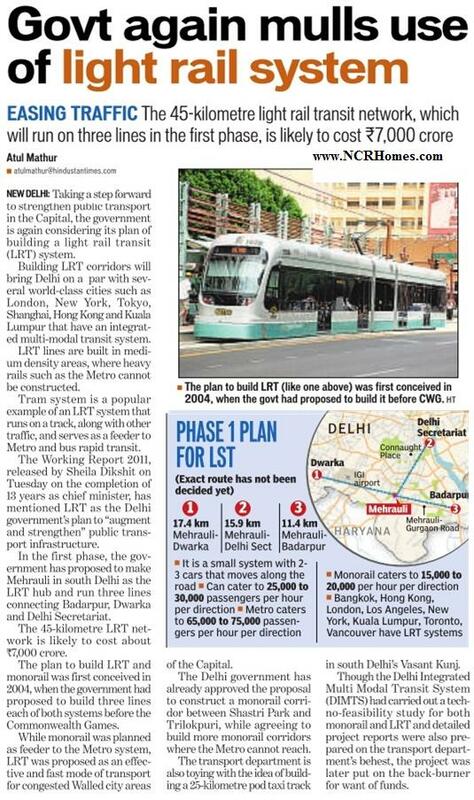 Linking Metro with soon-to-be-operational high-speed trains, this facility will also cut down on travel time.